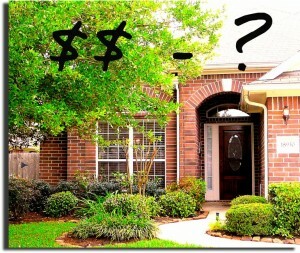 What’s the value of your Spring Texas home? There are things that affect the value of your Spring Texas home and there are things that have no affect at all on your home’s value. 1. Amenities – what are the features of the home? Does the home have granite or laminate or tile counter tops? Does the home have plantation shutters or mini-blinds? Does the home have wood, tile, carpet, laminate, or vinyl flooring? Does the home have extensive landscaping or none? 2. Condition – does the home have deferred maintenance items in need of repair? Are the carpets worn? These will negatively impact the value of your Spring Texas home and by even more than the cost to repair or replace the items. The majority of buyers do not know what it will cost to repair an item so the tendency is for them to over estimate the cost. 3. Location – a golf course or lake view increases a home’s value while homes backing up to commercial property, an apartment building or a busy street decreases the value of the homes. 1. What you paid for the home – it does not matter what you paid for the home. The only thing that matters is what the next buyer will pay for the home. 2. How much you owe on the home – a buyer does not care how much a seller owes on his home or how much the seller needs to net on the sale of the home. The buyer is comparing the seller’s home to other homes on the real estate market and based upon that and the comps determines how much the home is worth to him. 3. What you paid for the improvements made – improvements add value but rarely do they add value at a direct dollar for dollar level. 4. The value placed on your home by the county tax assessor – if the tax assessor was purchasing your home then the value placed on your home by him would be meaningful. Otherwise it is not. Some home owners are better than others at keeping the assessed value of their home low and thus reaping the benefit of a lower tax bill. In the end, the true value of a home is ultimately decided by buyers and sellers. The value a seller is willing to sell his home for and the price the buyer is willing to purchase it for is how much the home is worth. Not what Realtors, Appraisers, or Tax Assessors say the value is of the home but what Buyers say the value is of the home.